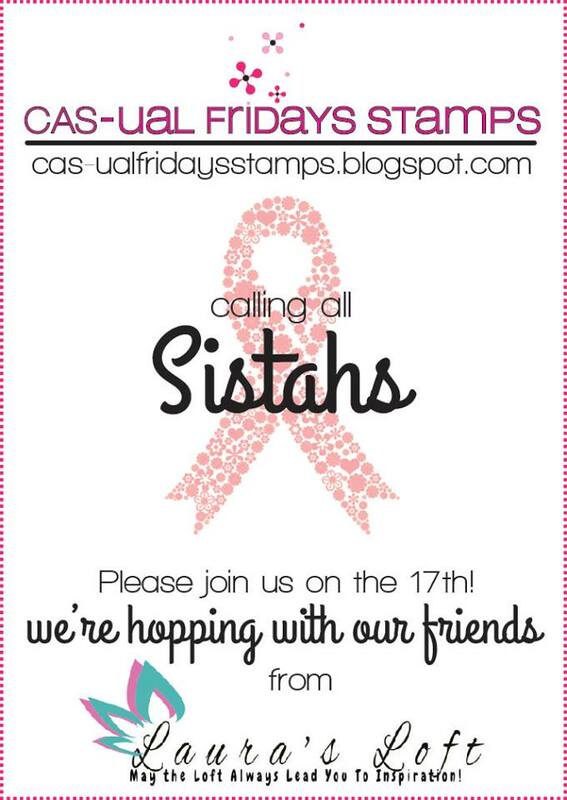 CAS-ual Fridays Stamps to start at the beginning. That way you won't miss a thing! 1 in 8 women in the U.S. will develop invasive breast cancer in her lifetime. 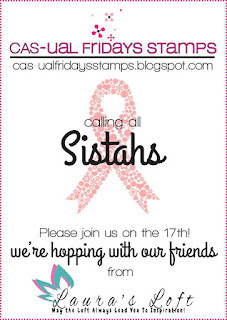 Calling All Sistahs was started by Michele Gross, owner of CAS-ual Fridays Stamps, shortly after she was diagnosed with breast cancer. It is her hope to create awareness for breast cancer beyond just the month of October by reminding you to do your self breast exams on the 17th of each month, and encouraging us all to remind all the great women in our lives to do the same. You can read more about her story HERE. The Calling All Sistahs Collection was created by Michele with the specific intent of donating 50% of her profits from this collection to Breast Cancer Research and Awareness programs in honor of all who have been affected by breast cancer. We at Laura's Loft are thrilled to be one of the first stores in the country to offer this special collection of stamps and dies. It's important to us to be able to remind all of our sistahs to check yourself and we are proud to continue Michele's effort by donating 50% of our own profits from this collection to breast cancer research right here in VA.
Join us here on the blog on the 17th of each month for CAS-ual Fridays projects dedicated to the fight against Breast Cancer and in support of our sistahs suffering through it along with a personal reminder to get yourself checked. and remind your sistahs too! If you're not exactly sure how to do a self exam, you can click here to get the information you need, and then follow up with your doctor at your next appointment. 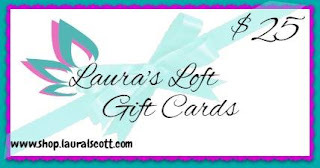 CAS-ual Fridays is giving away three $25 gift certificates and Laura's Loft is giving away two $25 gift cards which will randomly be draw from the comments so be sure to go to each hop stop to leave lots of love! I was thrilled to be in on this collaboration with CAS-ual Fridays and help bring awareness to self checks for early detection of breast cancer. What an awesome thing Michele is doing every month! I wanted to create a card to represent the beauty of what Michele is doing and one that would bring comfort to someone facing a scary situation. For my card I started with a piece of Strathmore watercolor paper. I stamped the sentiments from the Calling All Sistahs set with Versa Mark and heat embossed them with WOW Bright White detailed embossing powder. This created a resist so when added Dylusions sprays in Bubble Gum, Crushed Grape and Funky Fuchsia the sentiments stayed white. I stamped the Hope Ribbon in a pale grey and the colored each flower using different colors of Le Plume II markers. I was able to do this with the use of my MISTI. I used the Ruffled Ribbon FRI-DIE and cut a piece of pink fun foam to put behind my Hope Ribbon. The word hope was cut using the Hope FRI-Die. 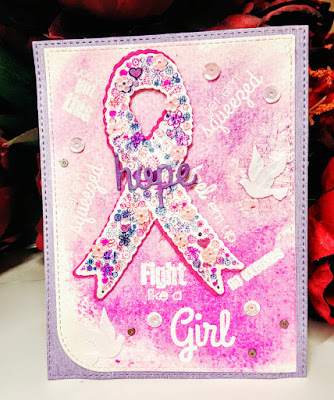 I used MFT Blueprints to cut my technique and background pieces and after assembling my card I added sequins from Design Creative Bling's breast cancer sequin mix Hopes Desire. Warning: tiny micro glass beads are uncontrollable, they go everywhere! I started this card buy cutting a piece of Neenah Solar White 110 lb card stock with an SU postage stamp die ( you would think I'd see enough postage at work but some how I'm drawn to envelopes and the like) and the Girl Fri-Die from the Sistahs Fri-Die set. When cutting out the word Girl I made sure my stamp sentiments would fit. Since I was already die cutting I used MFT Blueprint 25 stitch frame and cut a piece of MFT Razzleberry card stock as my background. 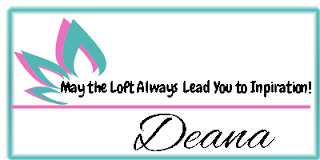 I picked out several sentiments from Cas-ual Fridays Calling All Sistahs and the ribbon from Calm and Loving and stamped them in different MFT colors. Now for the fun part....I cut a piece of Stick It to fit behind my die cut piece and adhered it to the Razzleberry piece. Then i attached my Neenah die cut piece. Hind sight is 20/20 so I'll give you a tip...do this next part in a container. I laid a piece of paper down and started sprinkling black Micro beads into the Girl cut outs then rolled over them with a brayer to smoosh them in good. All that was left was to attatch it to a card base. For More information on Breast Cancer Awareness just click here. Please do your self exams! Nothing could be more important! Be sure to check Laura's Loft and CAS-ual Fridays blog for the announcement of the winners of the Gift cards on Feb. 20, 2016. The announcement for Laura's Loft Gift cards will be at the top of the Watercolor Challenge Blog. She has some awesome creations to share with you! 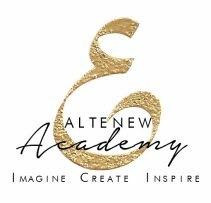 All products can be found by clicking on the images below! Wow - love your creative first card! The sprays really add a wonderful effect! The sequins are gorgeous - the detail you added to the card really shows. Your second card should totally be made into a stamp! Love how you created the stamp look with the pinked edges and the sentiments randomly stamped. Love the sentiments as a background! Both are fun and beautiful cards, thank you! I like your cards. Nice. Awesome job on the watercolor card! Love both cards! Love using white embossing as a resist. It's such a pretty look. 2 great cards--love the background of the first one! Love them ... Favorite with all the sentiments. I really like all the sentiments on that card. A cool idea. Love the colors on your pretty cards! Your cards are terrific. I do like the sprays you used on the 1st card. Great background. Thank you! The Dylusions are some of my favorite. These are great and for such an important cause. Aww! Thank you Kristie. Yes it is a very important cause! Thank goodness I have'nt had this touch anyone in my family but my brother just got through colon cancer. 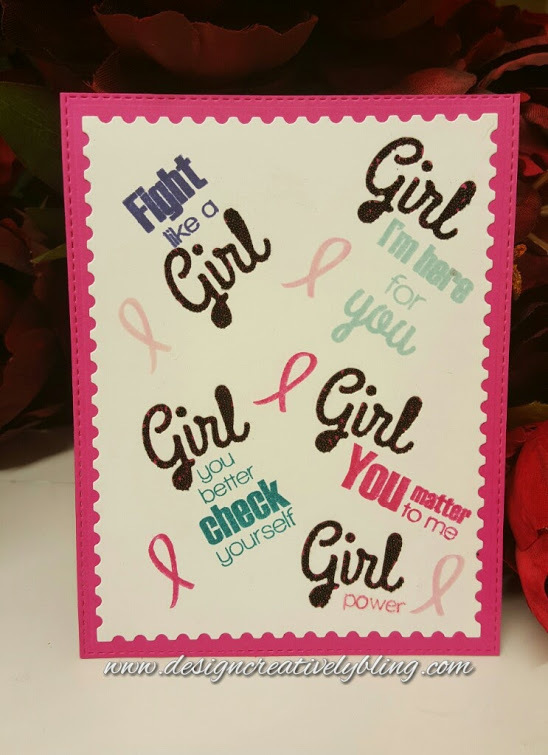 Love the GIRL card.-Heather C.
I love the "Fight like a Girl." Pretty cards! Microbeads are great! Love both the cards but the first pink one is my fave. Love the color and sparkle. Deana,yes you did it,with your card you represent,all that beauty Michelle and you all as team are giving: girl/women power in pretty pink!!! Thank you so much that means a lot! Wow, you got such beautiful texture with those teeny beads and all the sequins! Fun and sassy, and gorgeous! Is this my Karen Shields Ladd? Thank you so much! That first card is so pretty and it feels like a happy parade with the bright colors and beads. Love your description it makes me smile. Thank you! Oh wow! Beautiful cards and sentiment!!! the ribbon is beautiful with all of the different colors of sequins. Don't you just love the Misti - I'm just starting to use mine and it's wonderful. Thank you! I definitely love mine. wouldn't trade it for anything.